At the Montefiore-Moses and Montefiore-Einstein Emergency Departments, the PGY-1 will work on both the subacute and acute sides of the ED. Although you will be autonomous, you will have direct, one-on-one interaction with an Attending, with whom you will consult in patient management and clinical decisions. PGY-1 interns will also rotate on the Internal Medicine and CCU/MICU wards. All medicine rotations are completed at Jacobi Medical Center. As second-year junior residents, the PGY-2 residents continue to learn and develop skills within all core areas of Emergency Medicine. At the Montefiore ED, PGY-2 residents will work shifts with more autonomy in the higher acuity side. As our residents progress, we expect you to manage more patients and increasingly influence the throughput and flow of our EDs. 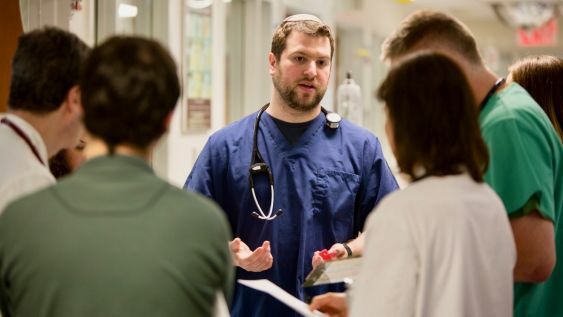 In addition, while at the Jacobi ED, PGY-2 residents are assigned more high-acuity patients and gain valuable experience performing critical care procedures. PGY-2 residents also have increased didactic responsibilities in leading our Evidence-Based Medicine conference sessions and Journal Clubs. The hierarchy of the Jacobi Emergency Department allows for a truly unique role in the third year of the residency. While rotating there, the PGY-3 will act as Chief Resident. As Chief Resident, you will participate in far more cases, while developing the management and organizational skills necessary to successfully manage a busy ED. The Chief Resident is responsible for all of the patients in half of the emergency department. In this capacity, residents will see each patient as they arrive, perform the initial assessment, and start the workup with laboratory orders, and, when necessary, medications and radiology studies. Ensure that the work-up, treatment and disposition of each patient proceed in a timely manner. PGY-3 residents will also serve as team leaders during medical resuscitations and perform airway management during major trauma resuscitations. 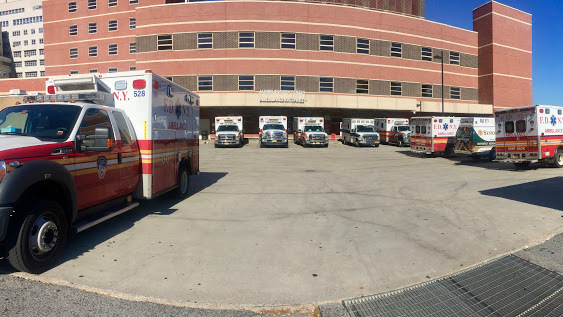 While rotating in the Montefiore Emergency Departments, PGY-3's serve a higher proportion of their shifts on the acute-care side of the EDs. 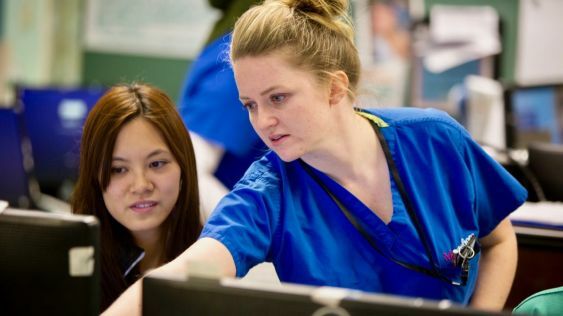 The PGY-4 year in Emergency Medicine is designed to raise the knowledge and skills developed in the first three years of postgraduate training to a consultant or "Pre-attending" level. 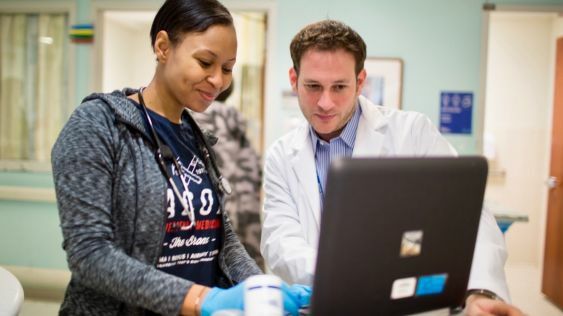 Fourth-year residents have significant authority to make decisions about patient care that have far-reaching implications, both within the department and throughout the medical center. 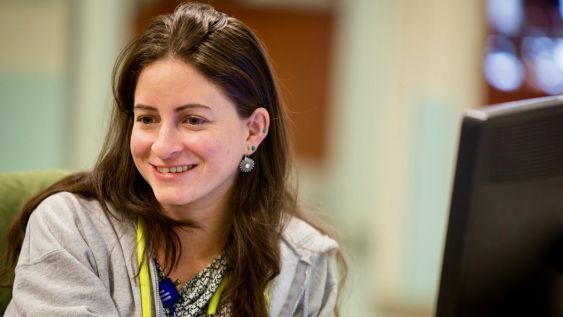 While at the Montefiore Emergency Departments, PGY-4 residents work exclusively on the critical care zone. In this capacity, they run all medical and surgical notifications and assume primary responsibility for overseeing critical patient care. 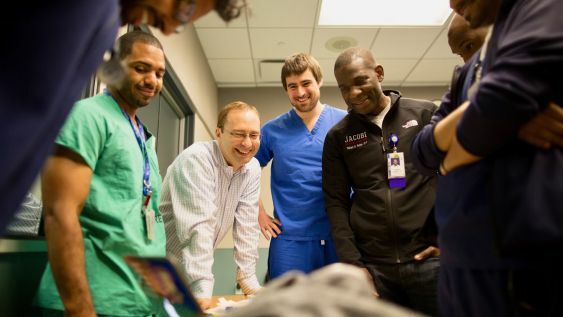 While at the Jacobi ED, fourth-year residents also spend the majority of their time in a leadership role that emphasizes supervising and teaching junior residents and medical students. Junior residents present only to the PGY-4, who has all decision-making capability (with consultation from the Attending as needed). This unique and quite deep clinical experience produces remarkably well-prepared and astute Emergency Medicine physicians. 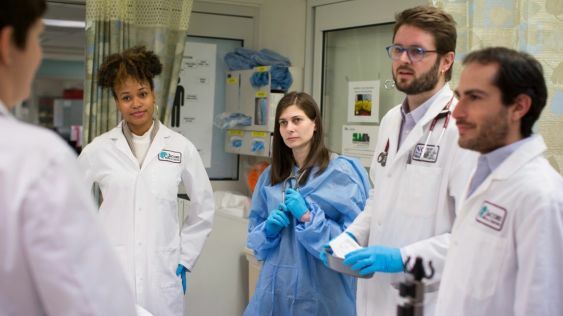 Graduates of the Albert Einstein // Montefiore + Jacobi program are ready to assume any attending role and deftly navigate the dynamic, fast-paced and challenging environment that defines Emergency Medicine. Residents learn how to intubate an adult patient in the OR and become more familiar with alternate airway tools. Our ultrasound rotation will introduce the resident to the role of ultrasound in the Emergency Department. It will consist of didactics and hands-on training with supervision, as well as independent scanning. This rotation is at the New York City Poison Control Center (455 1st Ave., between 26th St. & 27th St.). Each resident will participate in Morning Call-backs and Afternoon Rounds. Residents will gain exposure to out-of-hospital medicine, emergency public health, disaster medicine, mass gathering medicine and critical care transport. This rotation will familiarize you with an aspect of emergency medicine outside the realm of the clinical arena. It will include reading assignments, chart review assignments, tutorials with individuals responsible for ED administration, and attendance at ED and hospital-wide administrative meetings. PGY-3's rotate with the CCM consulting service and are involved in the intensive care management and triage of patients in the emergency departments, recovery rooms, medical and surgical floors.